Four years ago, Chilean filmmaker Sebastián Lelio graced us with the nearly flawless coming-of-middle-age character study Gloria, the magnificent observation of a particular woman’s battle to truly participate in life. A similar approach and another utterly stunning lead performance guarantee that his latest, the Oscar-winning A Fantastic Woman, is also a triumph. 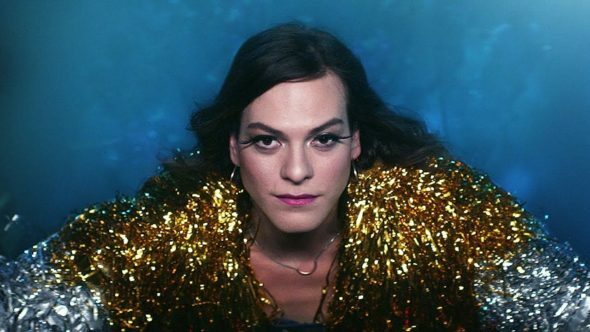 The grace that envelopes every moment of Daniela Vega’s turn as the fantastic woman in question is very nearly magical. This is aided by surrealistic, Almodovar-esque flourishes, but it’s mainly the result of Vega’s quietly fiery performance. Resolutely uncommunicative, her deeply interior character demands your attention, refusing to surrender her dignity even as forces pummel it from every direction. The film opens as the sixtyish Orlando (Francisco Reyes) meanders through a day leading to an audience with Marina, a trans singer (Vega). Then it’s on to Marina’s birthday dinner and home, to the apartment they’ve just begun sharing. The evening is lovely in its run-of-the-mill newness, and though Lelio appears to be setting up the coming conflict in rather broad strokes, the truth is that every moment so far has been a type of misdirection. When Orlando dies, the assault begins: at the hospital, where Marina’s treated with suspicion; with the family, whose contempt cannot be contained; with the police, whose baseless investigation is perhaps the most degrading moment of all. There is an aching tenderness to the first act as we begin to understand the nature of Marina and Orlando’s relationship, and we grieve the loss of that tenderness along with Marina. In Vega’s lovely performance we see not only her strength and resilience but also the courage it must have taken Orlando to be himself. There is a drawback to such a quiet performance, though. In detailing the harassment and abuse Marina suffers from all sides without offering a clearer look inside the character, Marina becomes a symbol rather than a character, an object of sympathy rather than empathy. Even if Lelio and Vega don’t let you truly know Marina, you cannot help but respect her.